Posted on May 29, 2014 | by franchisee_acpm | Leave a Comment on Should You Have Renters Insurance? YES !!! This article came from USNews.com. Experts say it’s common for renters to skip insurance. In fact, a 2006 Insurance Research Council poll found that while 96 percent of homeowners have homeowners insurance, less than half of renters have a renters insurance policy. 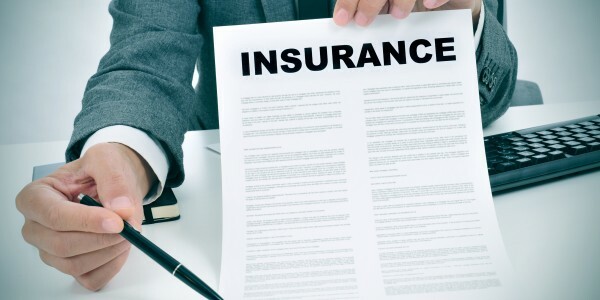 Many incorrectly assume that their landlord’s insurance policy will cover their belongings in the event of a fire or that renters insurance is simply too expensive. However, according to Loretta Worters, vice president of the Insurance Information Institute, an increasing number of landlords now require their tenants to buy their own renters insurance policy. “A typical renters policy runs around $250 to $300 a year, depending on where you live,” she adds. A report by U.S. Rep. Mark Takano recommends measures to help Inland residents afford homes. The pool of people who rent their residences has gotten larger in Inland Southern California, and the income gap to pay rent and make home ownership possible has gotten wider, a new report by U.S. Rep. Mark Takano suggests. The report, “Rent on the Rise in Riverside,” points to U.S. Census Bureau data to state that nearly 30 percent of Riverside county rental households are spending more than 50 percent of their income on rent, a situation that undermines the recovery of the housing market. Rent for all types of housing has gone up $756 on average since 2007 when the economy began to roil, the report released Thursday, Jan. 23, by Takano, D-Riverside, says. Yet, the median income for Riverside County is still $5,524 below pre-recession levels. With rent rising at a faster clip than income, Takano said in an interview that coincided with the report’s release that a growing number of families are finding it even more difficult to make ends meet, let alone save money to buy a home. Since 2007, the number of rental households pushed into the 50-percent bracket has risen 20 percent. “Economists generally say paying 30 percent or less is ideal,” Takano said. “When housing costs more, families are not able to save money for retirement or their kids college fund. It puts them in a bind with the other necessities of life-medical care, groceries, transportation,” he said. Rose Mayes, executive director of Riverside Fair Housing Council, said her office hears these accounts first-hand. Apartment rates have gone up 5 to 7 percent, on average, Mayes said, but some landlords have upped rent by 10 percent, or more, putting real pressure on people who are already struggling to pay the bills. Calls come in daily from renters seeking advice. Zenaida Gregorio, 63, of Hemet, dialed the office Wednesday after being told her rent would go up to $555 a month from $515. “I am on a fixed income, and clear a little less than $1,300 a month,” she said. After rent, utilities and costs for a storage unit to hold furniture from a house lost to bankruptcy is deducted, Gregorio said she’s down to a pittance. “I can’t afford to move from place to place, she said. “I don’t have a credit card, and pretty soon, I won’t have much left to pay for my food.” Without rent control ordinances on the books, Mayes said the tenants get squeezed. If salary and pay is flat-lined, where do you get money to pay the bills,” she asked. Renters are also navigating a sea of bulk-owned investment property, Takano said. In the wake of the housing collapse, private equity firms and real estate investment trusts bought up some 200,000 homes across the U.S. The properties, worth $20 billion, have been rented out or put on hold. In November 2012, the Federal Housing Finance Agency sold 970 properties in California, Arizona and Nevada to Capital Colony in an effort to turn around distressed markets. The Blackstone Group, which spent $7 billion on 40,000 housing units – announced in October 2013 that it would sell $479 million in bonds backed by the rental income from 3,207 properties to acquire more rental units, Takano said. “The prevalence of bulk rental properties may continue to push rental properties to rise faster than salaries,” he said. It also is unclear how the bulk-owned rental properties will react in a downturn, he said. If vacancy rates rise, or renters are unable to pay their lease, the report suggests that Blackstone and other Wall Street investors may be forced to sell off vast amounts of property to satisfy their investors whole. Further, Takano fears a ripple effect if the Blackstone bond is successful. “Selling a large amount of properties quickly would not only deprive renters of their home, but destabilize the market for homebuyers and send housing prices into a freefall,” Takano said. “This new securitization instrument spread risk around in a similar way that riskier mortgages were sliced and diced before the downturn,” he said. The report included four recommendations. Chief among them was a request to the U.S. House of Representatives Committee on Financial Services to hold hearings to examine the recent rise of investor-owned properties and development of single-family rental backed securities. “Proper oversight of new financial innovations is key to ensuring we don’t go down the same road of the unchecked (sub-prime) mortgage backed security, and create an unsustainable bubble that will wreak havoc when it bursts,” Takano wrote in letter to committee chair Rep. Jeb Hensarling. Other recommendations were to restore reasonable funding levels to the Section 8 housing assistance program for disadvantaged families, the Housing and Urban Development and Department of Veterans Affairs programs for homeless veterans and improve pre-purchase and post-purchase counseling services to HUD agencies across California.